Until today we know already more that 2000 exoplanets. And scientists estimate the number of planets in the Milky Way to several billion. And at least part of it is Earth-like and might harbor life. The hunt for alien worlds started with the discovery of the first exoplanet Pegasi 51 b in 1995. The Swiss astronomers Michel Mayor and Didier Queloz tracked it with an ingenious method. Since then, this new field of research is one of the most exciting ever. And almost weekly new discoveries and research results are published. In 2014 the Federal Council has therefore created the NCCR PlanetS. Under the leadership of the University of Bern and Geneva more than 100 top researchers of the main Swiss institutions work together to unlock the secrets of the exoplanets. And from 2018 they will investigate about 500 exoplanets with the space telescope CHEOPS of the European Space Agency. It is the first ESA mission, which is planned and carried out under Swiss management. 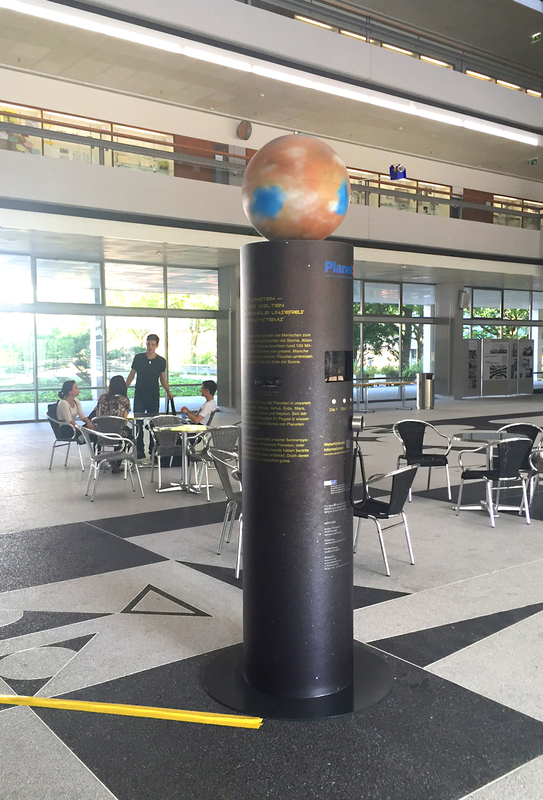 The NCCR PlanetS has developed information pillars that provide facts and stories about the exoplanets in an entertaining way. The NCCR PlanetS will lend the pillars for free to museums, schools, shopping centers etc. The content of the info pillars can be viewed online. The pillar is delivered by a transport service and will be picked up again. Of course for the borrower there will be no expenses. The pillar will be delivered in a transport box on wheels. Note that the box has a length of 2.7 meters (freight elevator). 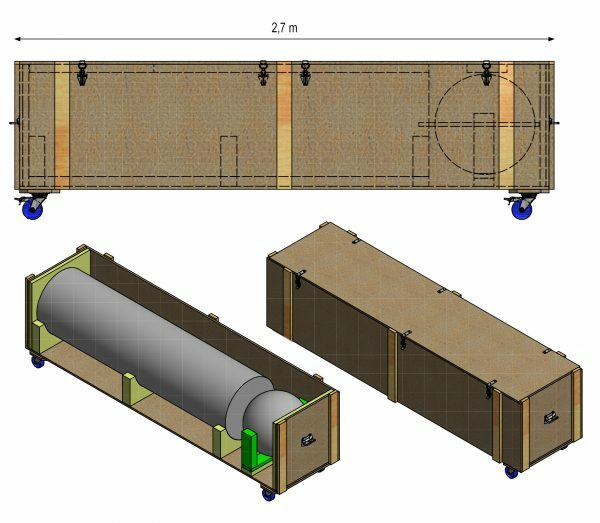 The transport box will be picked up usually on the same day and has not have to be stored. Due to the transport expenses, the lending period should not be less than 6 months. The maximum loan period is tobe declared but should not exceed 12 months ideally. Of course for the borrower there will be no expenses.